Why spend all your MONEY before you get to DISNEY and other Attractions??? 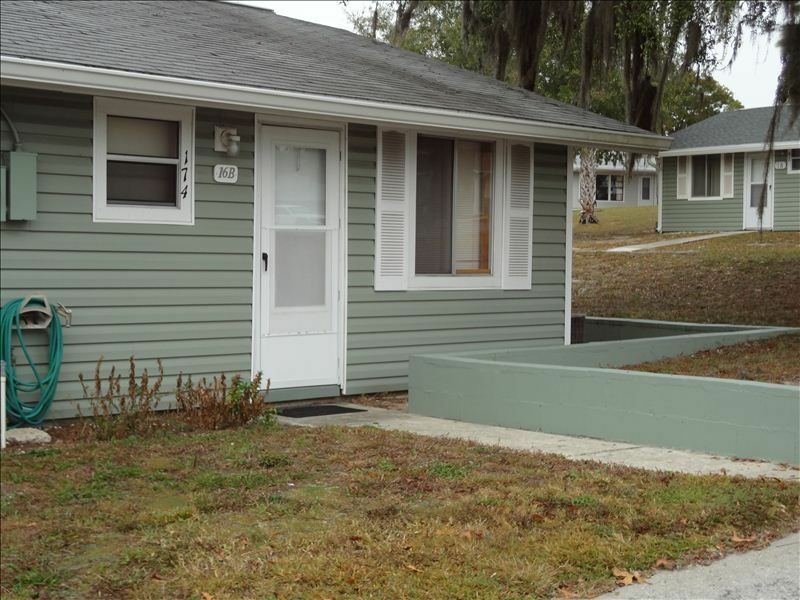 Our villa is located in a quiet, vacation resort which is situated on beautiful Lake Louisa just south of Clermont Florida on US 27. We loved this cottage - it was perfect for us. I rented this unit for my father and his friend. The place was perfect for them and they said it was very clean and comfortable. The owner was very good about communication and was very helpful through the entire process. Will definitely stay again. Thank you, Sandra. We enjoyed very much having your dad and his friend. Hope to hear from you again soon. The house was super clean and complete (furnitures and kitchen). The villa was super calm too. We spend a lot of time at the pool, which was never crowded and it´s huge. We will definitely come back if we have the opportunity!! We enjoyed it here at the villas. It was very nice and clean! My sister and I (both over 50) also liked the location. You were off the main road so you didn't hear the traffic but yet you were close to shopping and restaurants. The pool was great and not crowded! We would highly recommend and if we are ever in the area we would definitely stay again!! This place was wonderful! Very homey and quaint. Lots of room for the four of us. Kitchen was well equipped and beds were very comfortable. Pool was wonderful. Never crowded. It was almost like a private pool. Also, the price was extremely reasonable for what we got. We will definitely stay there again! This villa has become my home away from home while in Clermont. We had a wonderful time with lots of pool time with the grandchildren! My dad enjoyed the new recliner! Thank you Ruth!